Now available is our new Slingshot StreetRace Billet Intake Manifold, and I’d like to acquaint you all with its features and design strategy. 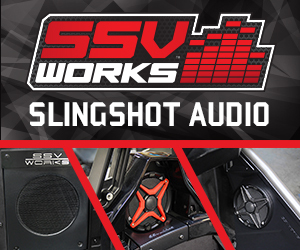 This is a product we’ve refined for years on other Ecotec applications, and this version for Slingshot is truly its most advanced iteration yet. 1. Increased upper-RPM power, for all the right reasons. 2. Decreased midrange torque, so as to control Slingshot’s tendency to wheelspin. 3. Aesthetic improvement, as the stock plastic intake manifold is rather pedestrian in appearance. 4. Greater durability in boosted applications, turbo or supercharged, where the stock thin-wall plastic intake can be prone to damage from internal pressure. 5. Provide a proper foundation for our PortFueler EMS system, which is aimed at boosted and nitrous oxide applications. 1. The shorter intake runners (as compared to stock) provide considerably less resistance to flow, which improves high-RPM power. The difference can be seen in the dyno graph, as well as on the road. We’ve developed 184 WHP with this intake manifold on an otherwise stock engine, save for our CoolRam Intake (which is now also available in a coordinated package with this StreetRace intake manifold), and our own free-flowing exhaust. Further demonstrating this notable improvement is the fact that this performance was achieved with a stock PCM tune and stock exhaust manifold. We’re confident that now, with the restrictive stock intake manifold out of the picture, we’ll be able to even further leverage the capabilities of a tubular header and PCM tuning, the positive capabilities of each now able to be more fully utilized. Next goal is 190 WHP, and who knows…we may even be able to achieve that Holy Grail of 200 naturally-aspirated wheel HP! 184 WHP already with only an intake and exhaust...and we're just getting started! This dyno comparison dramatically shows the increase in power overall, but particularly at high RPM. Where the stock Slingshot sees power diminish above 5500 RPM, the StreetRace Manifold-equipped engine keeps on pulling harder and harder all the way to 6500. Look how much more power we have at 6000 RPM...30+ more HP, as well as 25+ more ft lbs. of torque! A notable feature is the tapered runners. We’ve experimented to a great degree here, and the result is a taper ratio which delivers the ideal blend of high-RPM flow and optimized midrange performance. The essential concept here is that by tapering the runners, we can increase velocity of the charge at the entry to the intake port, which assists flow and results in HP and torque gains as compared to a straight runner. It’s rather a “best of both worlds approach, and practically all high-end intake manifolds use the concept. Tapered runners for the best flow, HP and torque. 2. The shorter runners also remove some low-end torque. While this may at first sound undesirable, we must consider that the Ecotec 2.4 we use was engineered to provide an ample, broad torque curve so as to be very user-friendly in heavier automotive applications. 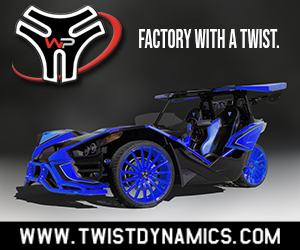 Slingshot’s limited traction ultimately makes this a bit of a mismatch, and trading away some of that torque actually makes it easier to drive hard without so frequently spinning the tire. The machine is not only faster with the new intake manifold due to the power added at high RPM, it is more tractable on the street, and not so prone to wheelspin. 3. Not much needs to be said here…we worked very hard to nestle this manifold design efficiently into the rather constrained Slingshot engine compartment, and the results speak for themselves insofar as improved appearance over stock. It tucks in wonderfully, and looks wonderful too! Note the angled runners, as this is our first application of this intake manifold design with them. They look great, and enabled us to properly package this concept in Slingshot. Looks like it just belongs there, doesn't it? 4. The stock plastic intake manifold responds well enough to lower boost pressures, but we’ve been working with these devils for over 15 years, and have seen more than a couple give up the fight when internally pressurized with boost, with of course a greater chance of rupture the higher the boost pressure. This StreetRace intake manifold design is proven durable at 30+ PSI of boost, and has made as much as 750 engine HP in other Ecotec applications we’ve done. It’s already a proven player! This view inside the plenum shows off the runner entries, radius machined for best flow and least turbulence. 5. Also for boosted (turbo or supercharged) and/or nitrous oxide applications, our new PortFueler EMS can be enabled as an option on the StreetRace manifold, which consists of us installing a fuel rail and four injector bosses. In such installations, the engine runs on eight injectors, four stock and four controlled by PortFueler EMS. The StreetRace Intake manifold is shown on our website with this as an option, as it can be ordered either with or without the PortFueler option. As an aside, should a customer wish us to install the PortFueler capability to their existing StreetRace manifold at a later date, we are able to do so. I’ll be firing up an informative thread on this exciting new PortFueler EMS system next. So that’s the overview. We’ve already well-proved out the performance of the manifold in both normally aspirated as well as boosted testing, netting 184 WHP N/A (so far! ), and 413 WHP SST TurboSystem-boosted on 93 octane gas - of course, that was with our new Built for Boost (BFB) engine, another new option about to emerge. As such, we are well into development, well past the validation stage, justifiably proud of the results, and ready to serve the needs of the Slingshot community! Needless to say, as a new and complex product to manufacture, we’ll need a few weeks to get up to speed, but once we’re there, we’ll be keeping them in stock or near-ready for much faster shipment. As our webpage also indicates, we can provide StreetRace Intake Manifold with a coordinated CoolRam intake system. As to integrating the StreetRace Intake Manifold with existing intake systems, we were careful to relocate the throttle body in the typical piping path for existing intake systems, as well as forced induction options. As such, adapting to your existing system should be very straightforward…in the instance of our own SST TurboSystem, all we had to do was trim the pipe a few inches shorter. Installation is basically a bolt-on affair. While we include a plug-in extension harness for the MAP sensor, one will have to manually extend the throttle body wiring to accommodate its new location…a bit of cut and splice is all it takes, and if one has already installed an intake with a relocated throttle body, that already- extended harness may fit as is. We’ve even included a bracket under the intake to properly mount the dipstick tube. We've included a variety of signal hose options in common NPT pipe thread sizes, as well as a drop-in port for MAP sensor. I’m interested in any and all questions, but I would add that questions about PortFueler EMS and our BFB engines may be referred to the threads I’ll introduce for them in the days to come. Thanks for listening, and talk to me! Edited 3 times, last by Bill from Hahn RaceCraft ( Sep 4th 2017 ). Wow! That is amazing and TY for creating this. The stock looks straight hideous! And makes me want to put a sign that says, please go to the other side! Would you happen to have an overlay of the SS before the IM was installed? I'm really curious to see the power band and how much of a curve change it has. Also adding this IM, did it make it run rich? Do we have to tune it if we get this? Going the NA route, if we can get 200whp (yes this is really wishful thinking right now) would be amazing (with not a lot of effort). That looks really good in the engine bay! You're welcome, and thank you too! I will put together such a dyno overlay and present it on Monday. Great idea! Yes, 200 WHP NA would be amazing. Cresting what would amount to 230 engine HP (or about 50 more than stock) may well take some basic internal engine work, such as cams and porting, and perhaps larger valves; certainly tuning would be required as well. But we have the essentials in place now, so those would be the next "shoes to drop". With this manifold, they could actually see their full potential. I have to agree! And thank you too. @Bill from Hahn RaceCraft So that intake would work with the DDM supercharger I have with no problem other than throttle body relocation? And trimming the charge tubes possibly? Would the tune need to be changed? Absolutely! The StreetRace intake manifold is compatible with supercharging as well, and yes...lengthening the throttle body wiring and modifying your charge tube to suit is about all it takes. Edited once, last by Bill from Hahn RaceCraft ( Sep 4th 2017 ). Here's that dyno comparison you requested @xxx4reggie. It dramatically shows the increase in power overall, but particularly at high RPM. Where the stock Slingshot sees power start diminishing above 5500 RPM, the StreetRace Manifold-equipped engine keeps on pulling harder and harder all the way to 6500. Look how much more power we have at 6000 RPM...30+ more HP, as well as 25+ more ft lbs. of torque! and that's with just intake, exhaust and the IM? Sorry but was it tuned too? Thanks, glad you like! That's still with a stock, untuned PCM and injectors...and a stock exhaust manifold to boot! We're hopeful that a header and a tune might get us to that 190 WHP mark...or almost 220 engine HP! Any Dyno numbers for forced induction (Turbo or SC)... this manifold vs. plastic stock? They built it and took it to Daytona two years ago but as I understand, it was not finished, tuned, or running on boost .... could be wrong but I don't remember seeing it completed. Thought the first ones owner sold his Sling shortly after. This is actually my personal slingshot. vehicle runs really rich, and i'm told i need stand alone fuel system to retune. Other than that, the fab and machining on this turbo setup is top notch. I'm actually thinking of selling the FF turbo setup on my vehicle and doing an engine swap.